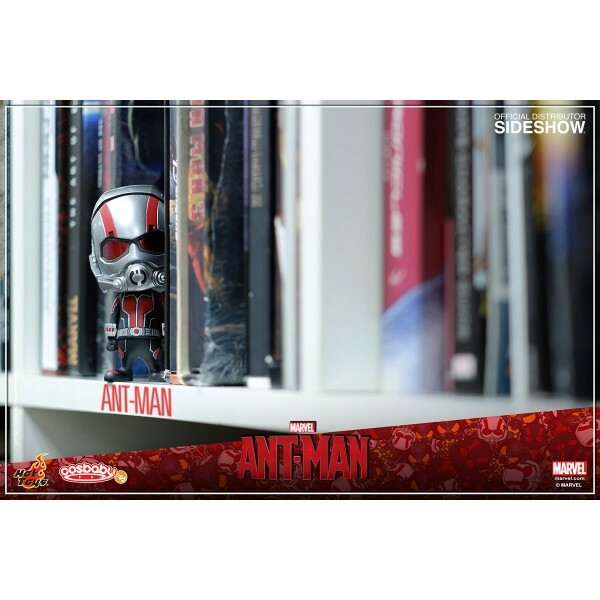 The newest release in Marvel's Cinematic Universe, Ant-Man, will give audiences an interesting perspective. 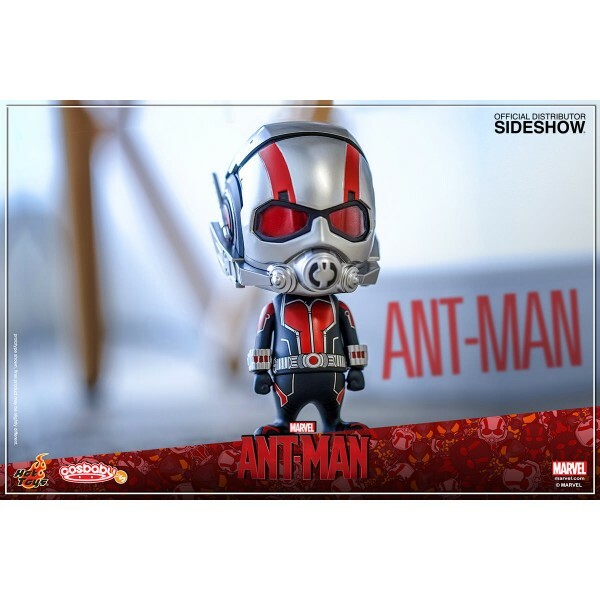 In this superhero hit, ex con-man, Scott Lang, is armed with a super-suit that has the astonishing ability to shrink in scale but increase in strength. 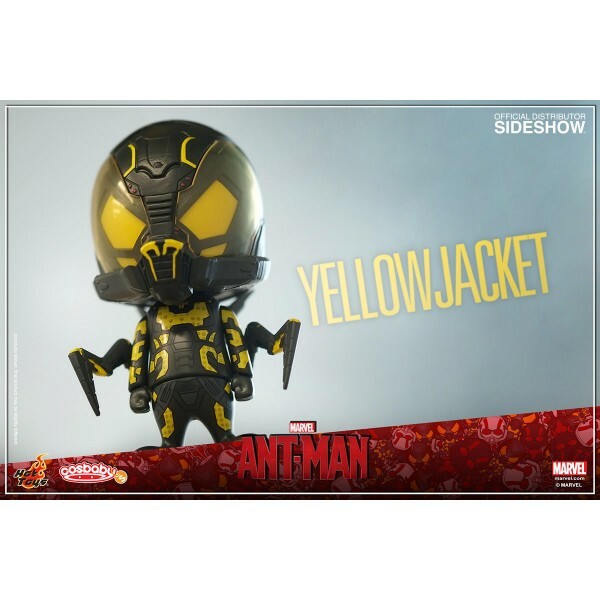 He must embrace his inner hero and help his mentor, Dr. Hank Pym, pull off a heist that will save the world against the Yellowjacket. 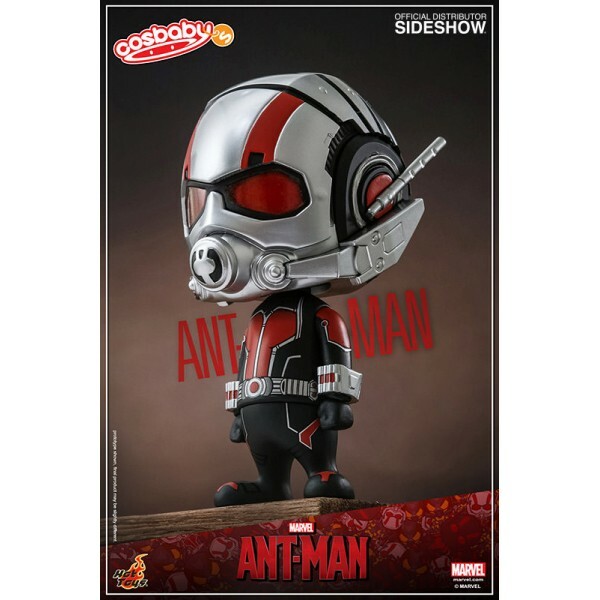 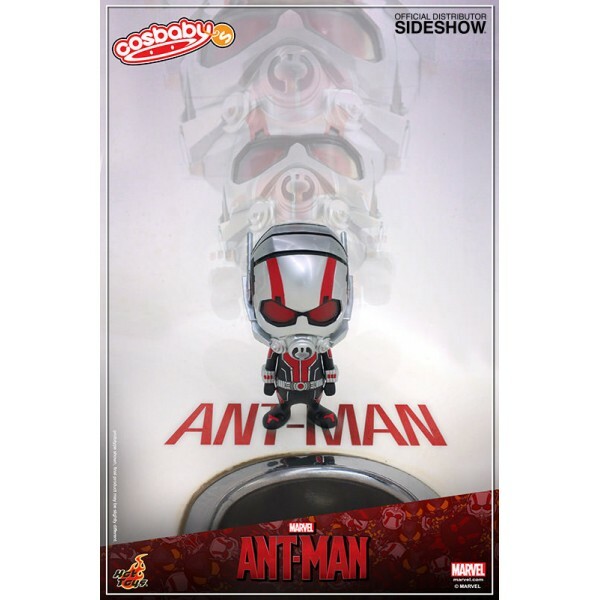 Sideshow Collectibles and Hot Toys are delighted to officially introduce the Ant-Man Cosbaby Series! 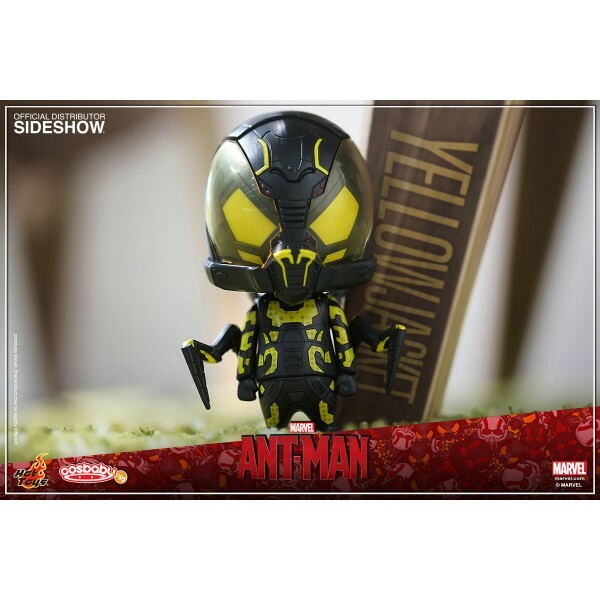 This series includes Ant-Man and the movie's villain - Yellowjacket. 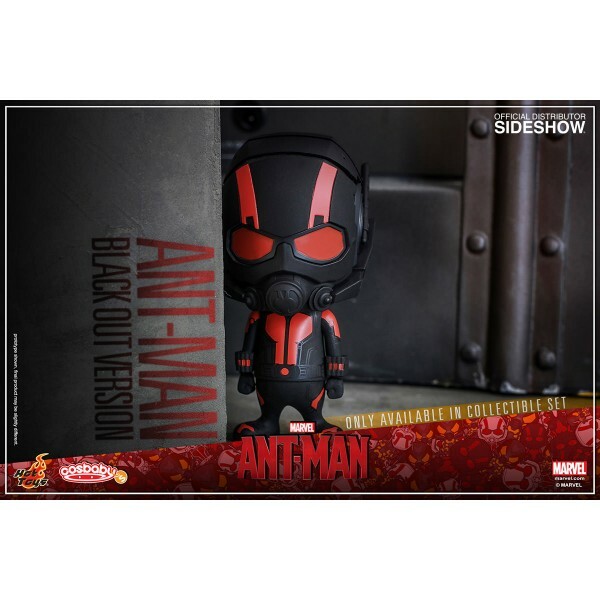 The Collectible Figure each stand approximately 9.5cm (3.75 inches) tall and have a bobble-head. 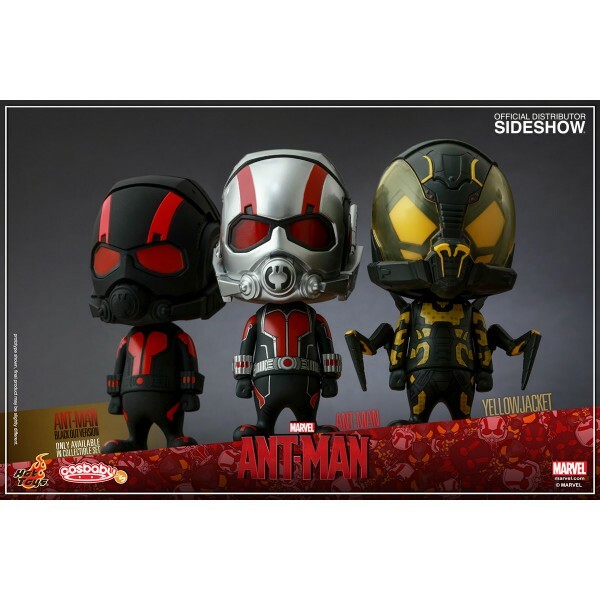 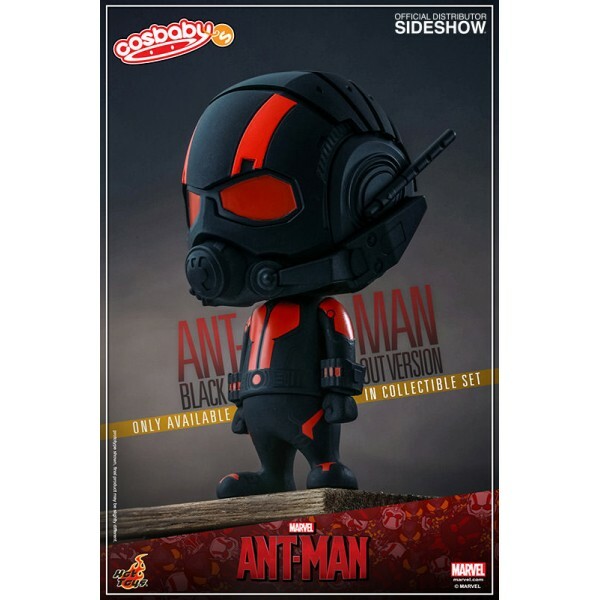 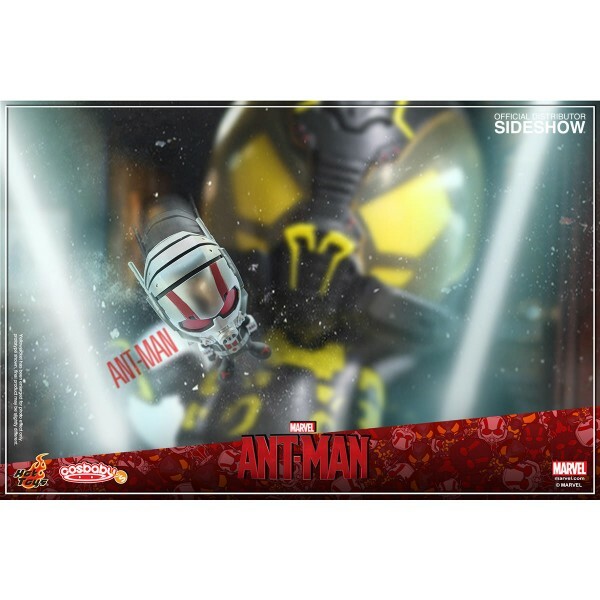 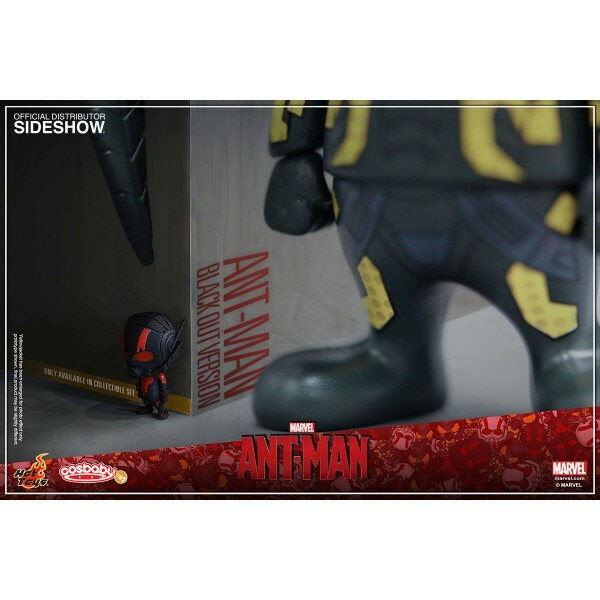 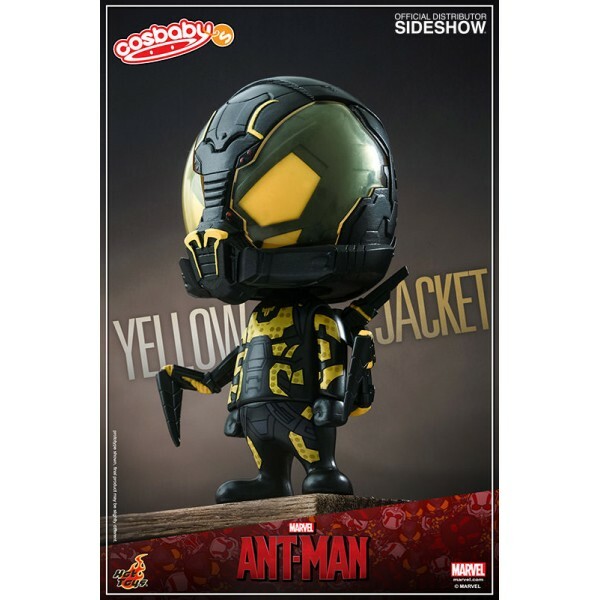 The Collectible Set of 3 is also available, which will feature the Ant-Man and Yellowjacket plus a special Ant-Man (Black Out Version) that is only available in the set. 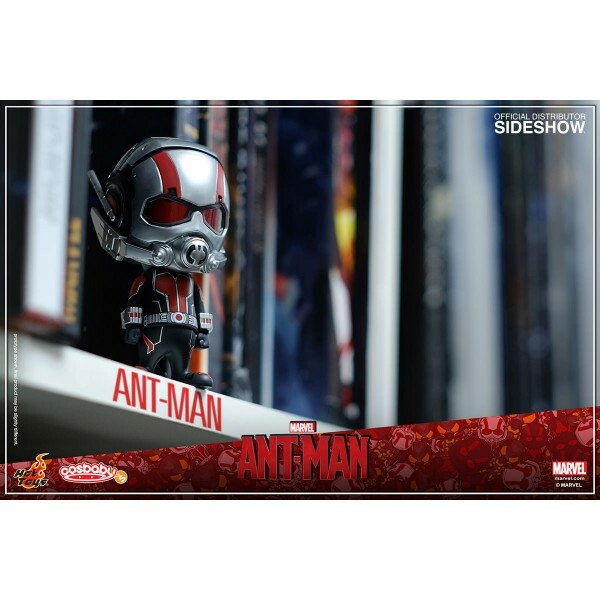 This Cosbaby series is perfect for any collectible fan and a great little addition to your desk!